Here goes. I’ve shared that I’m getting back into the groove. 3.5 months post twins I’m ready to get moving again. I’ve committed and I’ve followed through. But, boy. It’s a process that I wasn’t bargaining for! 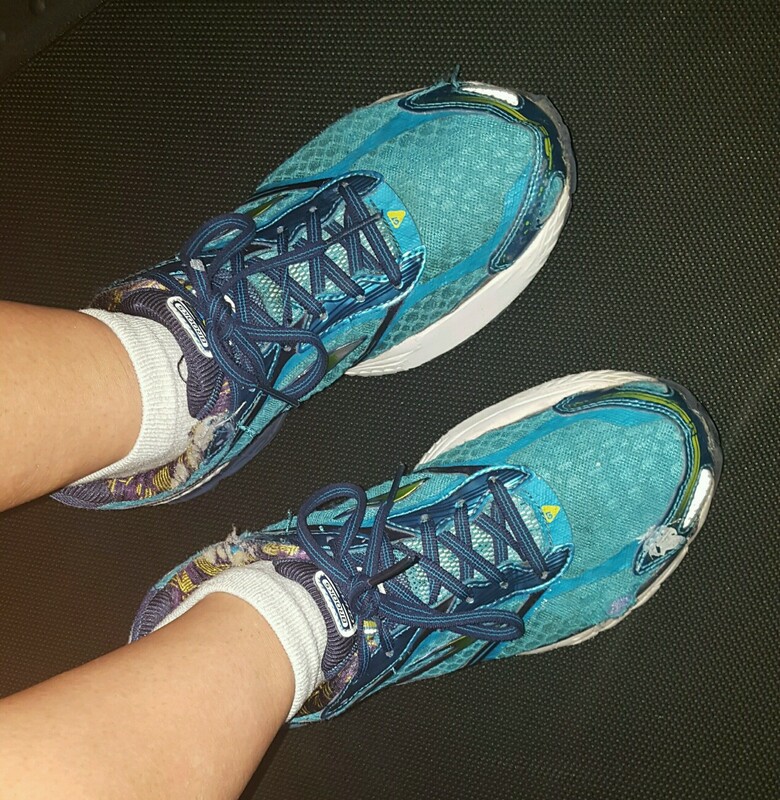 Let me share a few things I’ve learned if you’re ready to get back out on the pavement! Maybe you’ve been lucky enough to stay in shape through pregnancy. In this case, you’ll likely bounce back much faster. But, if you’re like me…you might need a little extra time, a little extra push and a little extra love. Ready to go? Check out these tips to get started! Before any fitness endeavor…it’s important to ask why. Why are you trying to get moving again? Where’s your heart? Is it because you feel like you have to? Is it because you feel outside pressure? Is it because you’re not happy somewhere on the inside? If your answer is yes to these questions, you’re not ready to get started. Figure out your heart an where you stand BEFORE you start a love-hate relationship with a new running routine! Remember…fitness is a journey. You’ve spent 9 months CREATING LIFE. 9 months coming down from your fitness peak. This means that getting back into it isn’t going to happen overnight. Like anything in life…you can’t do something and work up to a certain level in something, walk away for 9 months (plus recovery time), then jump right back into where you were. Patience fellow mamas, Patience! 3. Love the Past…Don’t Live in it! You know what? I’m proud of my PRs. My husband and I keep our medals on the wall. We love the memories we’ve made traveling to races, we love celebrating each others’ accomplishments. We have pride in what we’ve been able to do, pride in the times that our hard work paid off. But right now? Life is taking over! We have four beautiful little ones to love on. We’ve moved across the country from our families so we have little help. John’s fully emerged in his job and church activities. I am running my own business and just started another. The kids have activities….this is LIFE and it’s amazing. Do we still have past goals to look back on? Yes. Is it hard to look at current times and to realize that I may never get back to my peak? Yes. But, that’s what a peak is…a huge accomplishment to be proud of forever, but to come down from at some point! Does this mean that I’ve given up on myself or my goals? Absolutely not. But, it means that I needed to shift my perspective, to be proud of where I am now and to be patient with myself! Remember the past…live in the now…focus on the future! Speaking of the future, it’s an exciting prospect…right? Why not jump in by setting a new…REASONABLE…goal? Want to do a race with friends or pushing the stroller? Want to train for a mud run? A triathalon? Make finishing your goals and completing your training plan. Start thinking of goals that pertain less to times and placing, and more on fun. The minute I got the okay from my doctors to start a new workout routine (which consisted of walking. Very slow walking), I couldn’t wait to jump in. “2 miles,” I thought… “2 miles.” I look back at myself and laugh at that day. You see, 2 miles in the past was a warmup…a joke. Of course I could walk 2 miles. Boy, I was wrong. After .3 miles I was done. DONE. I was down on myself. It was bad. But then, I got the okay to “jog.” Great! I set my treadmill to 6.5 miles per hour…you know, my previous casual pace. HAH! I didn’t make it .1 miles. Seriously…not even a tenth of a mile. I was stressed an depressed about the situation. My big issue? I forgot that fitness is a process. I forgot to start small. I forgot to celebrate small victories. I set myself up for failure. I had to step back. Talk myself down and start over. You know where I am today? I’m running 10-12 minute miles. Coming from a competitive running past, this was hard at first. But..you guys…I got to 5 miles last week. 5. I started small and I started building. I. Couldn’t. Be. Prouder. Seriously. New goals, new perspective, new pride. The key? Starting small. I hear this…A LOT. “I want to workout, but my babies are only small for so long. I don’t want to miss it.” I get it. I’m right there in the mire with guilt with you. I promise. But, I have also learned to step back. Do my babies need me? Absolutely! And that’s a huge gift! At the same time, I’m the best mom I can be when I’m happy with myself and when I’m at a reasonable level of health. This starts with putting a focus on fitness. This doesn’t mean spending 3 hours every day at the gym. When I can walk for 30 minutes, or get a quick Tabata session in, sometimes that’s gotta be enough. Sometimes letting yourself rest IS best…but do it because it’s the right thing, not because you’re too guilty to step back for an hour or so. I’ve talked a lot about being easy on yourself. You’ve accomplished a lot in the past year! But, that doesn’t mean you have a permanent excuse to slack (balance people…balance!). If you want to grow in your level of fitness, you’ve got to push it. You’ve got to grow. This means that you have to push yourself! If you find yourself making an excuse after every workout, or a lack of progress, evaluate whether you’re pushing yourself hard enough. If not, try to step it up (again…within reason and SLOWLY). We’re always busy. Always. As a mom, especially a new mom, there’s always someone that needs you…and that’s okay. But, it’s also a great way to miss a workout…then to miss 3 workouts…then to go a month without putting in a single mile. See how it builds? Combat this natural tendency by setting a schedule. Let your husband or whoever helps you at home know that during this time, you’ll be out running or doing a workout. Over time, it will become a routine that comes naturally. Just like any other time, if you’ve set a fitness goal, it’s easiest to accomplish it with some support. Look for another new mom or running newbie and partner up. It’s a lot harder to push snooze when you know someone else is counting on you! Talk about your goals and push each other to achieve them! Like anything in life, you’ll have set backs. You’ll have days when you wonder if this is what you really want. Take it easy on yourself. Love yourself. Push through. The only true disservice you can do in this process is to quit…or to never get started in the first place. What are ya waiting for? Get out there. Put on your running shoes…and go! Call for Participants: Posh Focus Group!